With a raised D & G pole for better string response and output at the bridge position. The Seymour Duncan Antiquity for 1955 Tele recreates that year's innovation in Tele pickup design. After early production of the flat pole lead pickup for Telecaster, the pickups were manufactured with a raised D & G pole for better string response and output. These classic pickups had great sound too, and Seymour Duncan decided to re-create the look and sound of this classic. 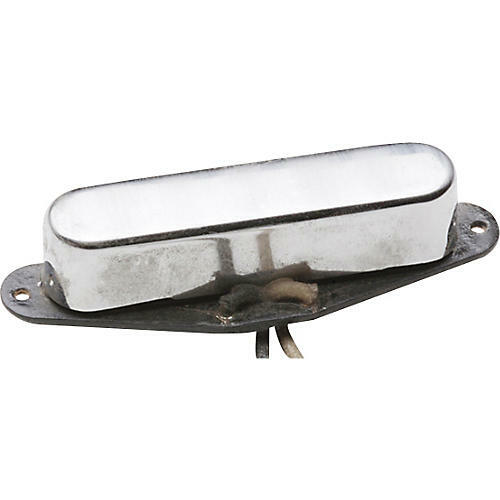 top pickup width: .770" bottom pickup length: 2.885"
total pickup height: .740" total magnet height: .668"